For the first time in history we’re all in touch with one another digitally, but how connected are we when it comes to getting big things done? Yes, it’s good to have “friends” who “like” you or contacts that can help you get a new job. However, solving big problems, creating amazing products, changing social policy, and discovering a cure that saves lives are all much more meaningful than sitting at a laptop and giving a thumbs up to a post or feverishly playing a game. That’s what Connectional Intelligence is all about. Connectional Intelligence is the human capability to pool knowledge and ambition towards big, significant ends. It quickly, efficiently, and creatively helps individuals enlist helpers, analyze information, and find solutions. Learn how to use it and harness it in this reading with leading expert and author, Erica Dhawan. 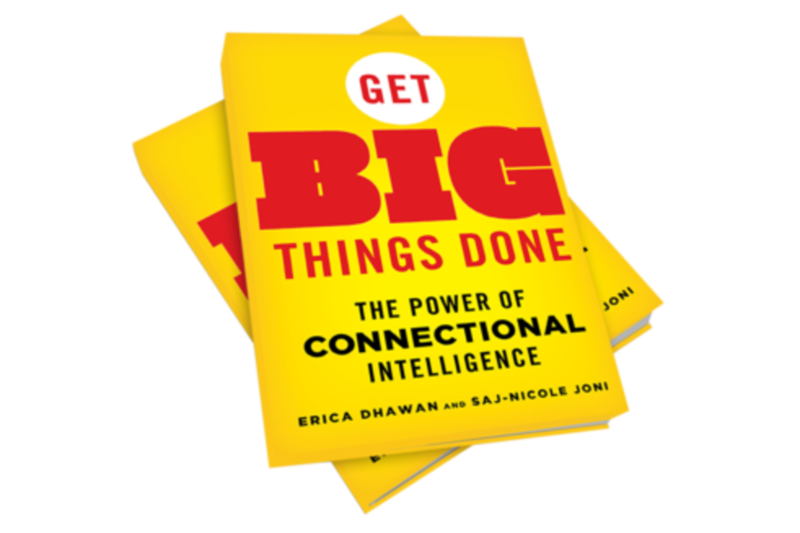 Erica Dhawan is the Founder & CEO of Cotential, a global innovation firm that helps organizations unleash the connected potential of people everywhere to maximize opportunities and solve their most pressing challenges. Through keynote speaking and consulting, she teaches business leaders and companies innovative strategies to create increasing value for customers and clients, deliver sustainable results and ensure future global competitiveness. Erica speaks on global stages ranging from the World Economic Forum at Davos to companies such as Fedex, Pepsico, and McGraw Hill Financial. Erica writes for Harvard Business Review, Forbes, Fast Company and the Huffington Post. She serves as a board member to Deloitte's Inclusion External Advisory Council. She is a member of the Young Entrepreneur Council, Aspen Institute Socrates Society, TEDx fellows, and World Economic Forum Global Shapers. Previously, she worked at Lehman Brothers and Barclays Capital and has degrees from Harvard and MIT.